In its third year, Paris Photo Los Angeles has hosted scores of international galleries and exhibited world renowned photographers and moving image makers. The LA photo fair is held in Hollywood’s Paramount Pictures Studio from May 1-3 and an integral part of this three-day exhibition is the Sound and Vision program, which brings together in Conversation, renowned photographers, artists and filmmakers to discuss influence and practice. I spoke to Sound and Vision curators Douglas Fogle and Hanneke Skerath about their program and photography in the city of Angels. In their words, these Conversations inevitably blur the boundaries of still and moving image in a city where to ignore Hollywood’s influence on photography and other forms of visual art, would be a mistake. Ginger Liu: Could you explain the raison d’etre behind the Sound and Vision program at Paris Photo LA and how it has evolved since it’s inception in 2013? Douglas Fogle + Hanneke Skerath: As opposed to the fantastic platform during Paris Photo at the Grand Palais every November that is composed of panels and conversations, we wanted to make a program that made sense for Los Angeles. LA is an artist town and we felt that putting together a series of conversations between artists in which they could really engage each other as creators and thinkers was going to be the most interesting approach for our community. The moving image piece of the puzzle was an obvious choice as Julien was discussing photography in an “expanded field” and the project was going to take place at Paramount Studios, one of the most legendary Hollywood back lots in Los Angeles. In the end, we all wanted to open up Paris Photo to the idea of the image writ large, whether still or moving, in particular given the break down of the boundaries between the media in the last forty years. That’s why we came up with the title Sound and Vision for the program of artist conversations. 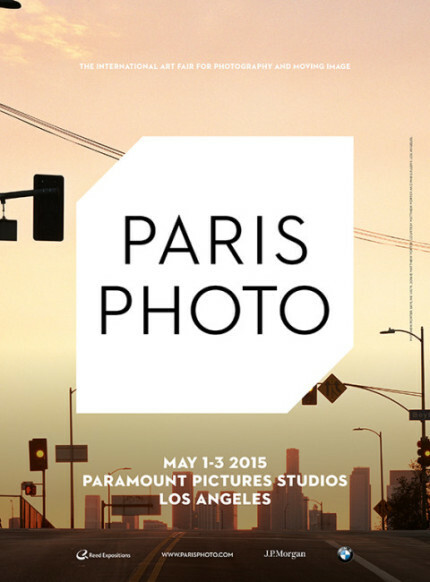 GL: How did you become involved with Paris Photo LA? DF: I met the founding director of PPLA, Julien Frydman, in the back of a taxi at the Basel Art Fair. When Julien decided to open PP in Los Angeles he and my colleague Jean-Christophe Harel visited Los Angeles and asked to meet with us about the project (I knew Jean-Christophe from the French Consulate in LA when I was Chief Curator of the Hammer Museum). Julien knew my exhibition and book The Last Picture Show: Artists Using Photography that dealt with the history of the use of the expanded uses of photography within conceptual artistic practices and asked if I would be interested in doing a program for the LA version of Paris Photo. We were happy to collaborate on the project with Julien. GL: The Sound and Vision program has naturally gravitated towards Hollywood and moving image. 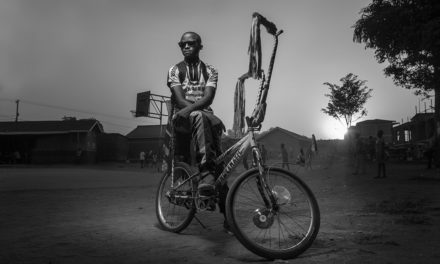 Do you think this dilutes the purpose of a photography fair which are few and far between? DF + HS: We think that it might be a little confusing as PPLA is held at Paramount Studios, but if you look at the program of speakers we usually have only one or two speakers out of twelve every year who might have something to do with the film industry. That said, it is completely true that the Sound and Vision series purpose was to investigate the relationship between the still and the moving image given the latter’s increasing presence in contemporary art production. The first year we had a number of fantastic talks including one between Mad Men creator Matthew Weiner and contemporary photographic based artist Gregory Crewdson. It was an amazing conversation about the creative process. We also had talks by contemporary artists who work with moving images such as Phil Collins, Sharon Lockhart, and Doug Aitken. This year we are delighted to have artists such as Amie Siegel, Pierre Bismuth, Tacita Dean, and Paul McCarthy on board for the conversations. All of these artists are heavily involved with the moving image in their work. On the other side of the coin we will also have Alex McDowell in the series this year who is a visionary production designer in Hollywood and runs a worlds designing institute at USC. What one forgets given the level of capital flowing through Hollywood is that the film industry is full of amazingly creative artists who work at every level of production. So we would say that to live in Los Angeles and ignore that segment both of our artists and our audience would be a big mistake. We are all about blurring the boundaries and making critical intellectual dialogue happen across the purported gulfs between the disciplines. GL: With the Hollywood film and television industry taking center stage in Los Angeles do you think photography can compete? DF + HS: Los Angeles has amazing academically inclined art institutions such as MoCA, The Getty, LACMA, and the Hammer Museum each of which have contributed major scholarly exhibitions to the field of photography in recent years. The Hammer recently had on view a MoMA traveling exhibition of the work of Robert Heinecken (who himself taught at UCLA) that brought important attention to one of the most innovative practitioners of conceptual photography in the last four decades. All of these museums also annually make major acquisitions of important photographic works for their permanent collections. So I would say that Los Angeles has a fine institutional academic commitment to photography (we of course also have some of the most influential contemporary photographers in the world teaching in our MFA programs including artists such as Catherine Opie and James Welling at UCLA). 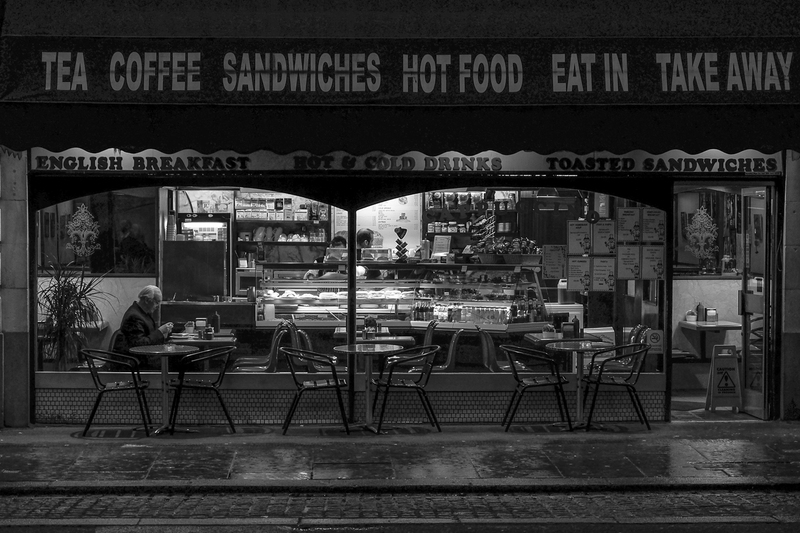 GL: How important is it to showcase Californian photography and photographers? DF + HS: Los Angeles is a global city that happens to be in California. Because the art scene and artist community in Los Angeles is as vibrant as any in the world the Sound and Vision Artist Conversations always include some artists who live and work in Los Angeles. Of course we are always lucky to have the Getty Research Institute in town as they often bring in amazing artists such as Thomas Demand (a speaker in our first year) and Tacita Dean (who is speaking this year). Los Angeles has a rich history and living legacy with the world of photography and contemporary art. It would be criminal to ignore it but we like to think of putting Los Angeles artists into the global context. GL: Who were your scoop conversationalists from the last two programs? 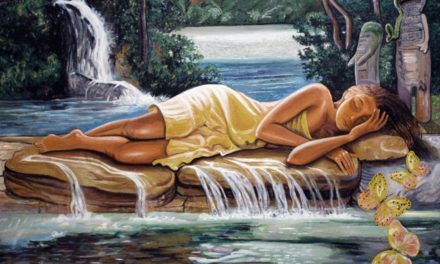 All of the conversations have been fabulous in different ways and we have had artists of all different artistic persuasions and generations in the series. We think that one of the most free-wheeling and exciting conversations that we’ve had was between Madmen creator Matthew Weiner and New York-based artist Gregory Crewdson. Both of them were so generous intellectually and really embodied our original attention for the program which was to encourage open-ended discussions about creative process across the disciplines. It was also incredibly entertaining. He is co-founder with Hanneke Skerath of the curatorial office STUDIO LBV. From 2009-2012 he served as Deputy Director, Exhibition and Programs, and Chief Curator at the Hammer Museum in Los Angeles where he organized a variety of exhibitions including Ed Ruscha: On the Road (2011) and Luisa Lambri: Being there (2010). Previously, he served as curator of contemporary art at the Carnegie Museum of Art in Pittsburgh from 2005-2009 where he organized Life on Mars, the 55th Carnegie International in 2008. Prior to that, Fogle was a curator in the Visual Arts Department of the Walker Art Center in Minneapolis from 1994-2005 where he organized a wide array of exhibitions such as Painting at the Edge of the World (2001), The Last Picture Show: Artists Using Photography 1960-1982 (2003), Andy Warhol/Supernova: Stars, Deaths, and Disasters 1962-1964 (2005), and Catherine Opie: Skyways and Icehouses (2002). Also a writer, he has published widely in exhibition catalogues and journals such as frieze, Artforum, Flash Art and Parkett. Hanneke Skerath is an independent curator based in Los Angeles. She is co-founder with Douglas Fogle of the curatorial office STUDIO LBV. 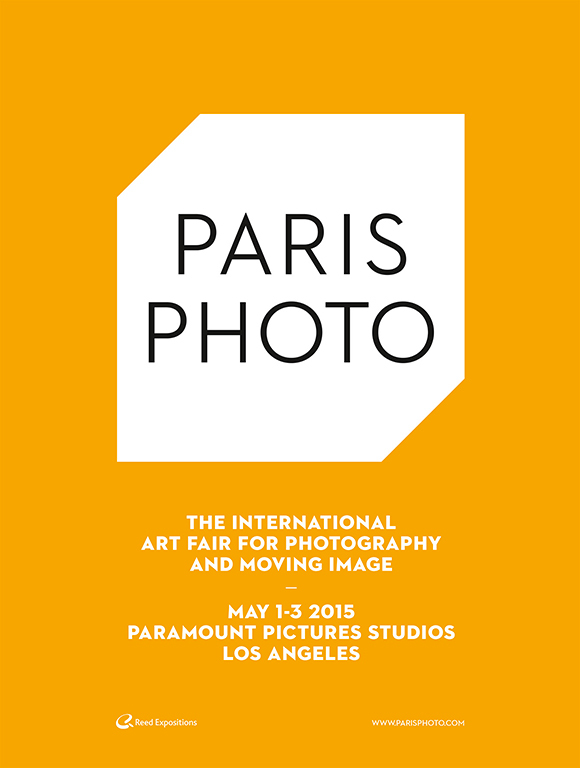 Paris Photo Los Angeles is the US edition of the world’s most celebrated art fair for works created in the photographic medium. The Fair is held annually each spring at Paramount Pictures Studios, the ideal setting to explore how artists have been and are using photography and moving image in their work in the 20th and 21st centuries. 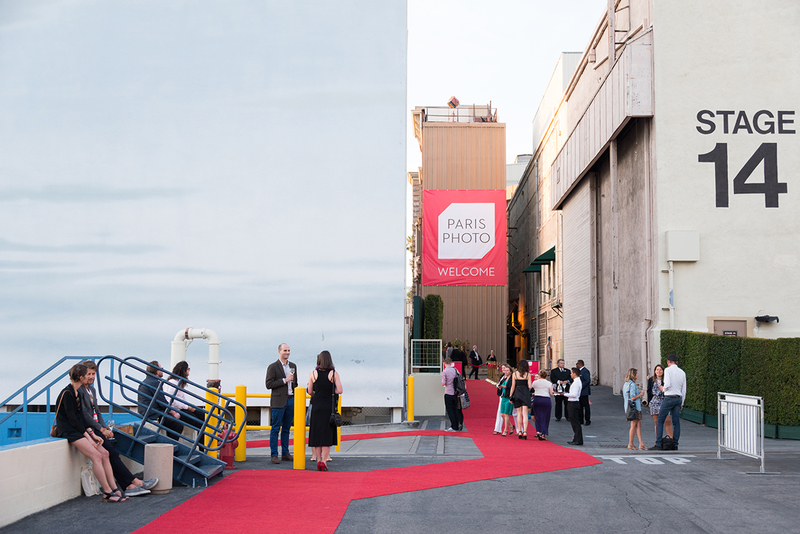 Paris Photo Los Angeles 2015 will take place at Paramount Pictures Studios from May 1-3rd and will host 80 leading galleries and art book dealers from 17 countries world-wide. Sound & Vision: The Conversations will offer visitors a wide array of intellectual perspectives on the use of images from some of the leading international artists and curators working today. Taking place in Sherry Lansing Theatre, participants will include artists and curators: Pierre Bismuth, Kerry Brougher (Academy Museum, Los Angeles), Tacita Dean, D.V. de Vincentis, Alex McDowell, RDI, Agustin Perez Rubio (MALBA, Buenos Aires), Hirsch Perlman, Stephen Prina, Allen Ruppersberg, Amie Siegel, Pauline J. Yao (M+, Hong Kong) among others to be announced.